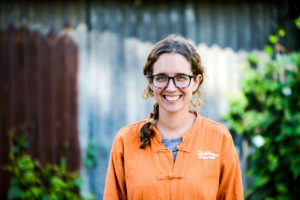 I could not leave Yangon without meeting Caitlin, an Australian who launched an organic farm in September 2017. 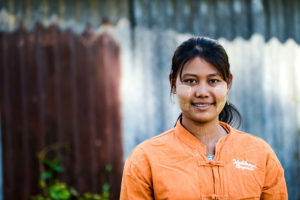 I met Caitlin and her team in January 2018 in a quiet neighborhood of Yangon and the project (called Kokkoya Organics) looked really nice. 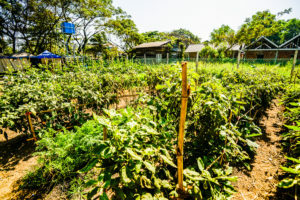 After spending 2 years teaching permaculture and environment at a local NGO in Myanmar, she decided to look for a small piece of land in Yangon and start a small urban farm. It took a bit of time to find a nice plot, as land prices in Yangon are fairly ridiculous. Once she found the plot she launched a crowdfunding campaign. The funds were used to cover the cost of compost mainly. The compost together with some layers of cardboard on the ground helped to enrich and prepare the soil for the future farm. 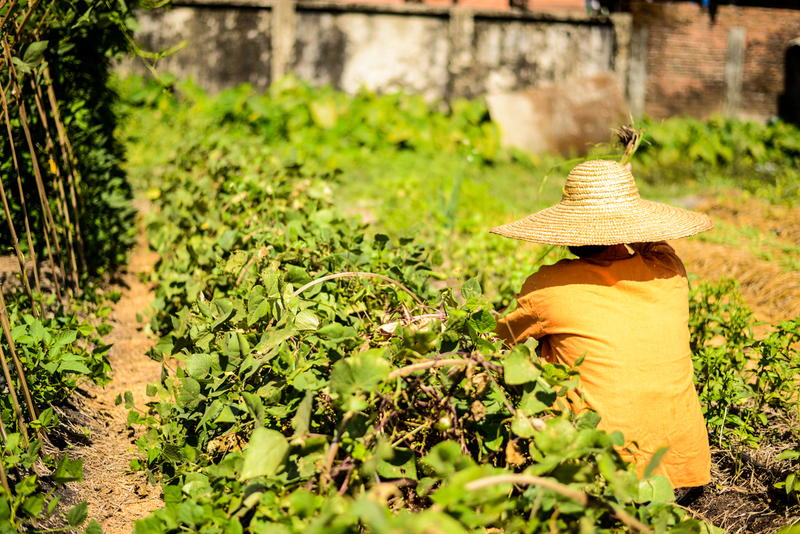 Before working on the soil she cleaned up the area and built some missing fences. 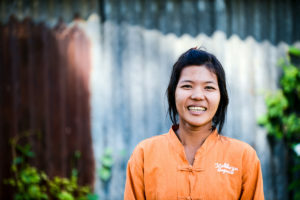 In October 2017 she started planting the first crops! 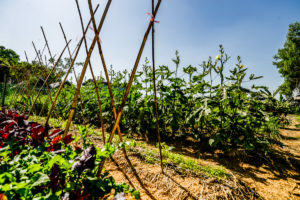 In January 2018, when I visited the farm, she was able to produce 27 baskets for 27 clients, mainly expats located in Yangon and a few locals, who look for organic food free of chemicals. 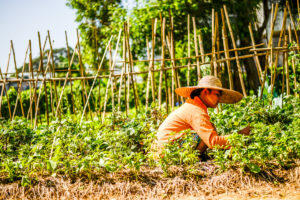 It’s a way for these people to buy local, seasonal products directly from the farmer in their community (this is called Community Supported Agriculture, CSA). 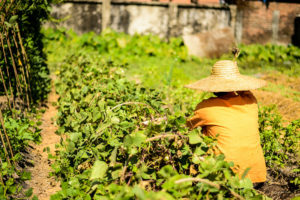 At that moment there were more people interested and she expected to increase the production little by little in the first months of 2018 to meet the demand. 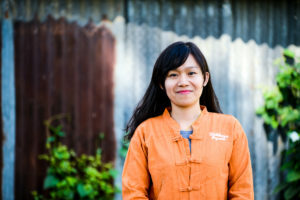 She organizes open days, workshops and farm-to-table events where anyone can visit and learn about the organic techniques practiced on site. 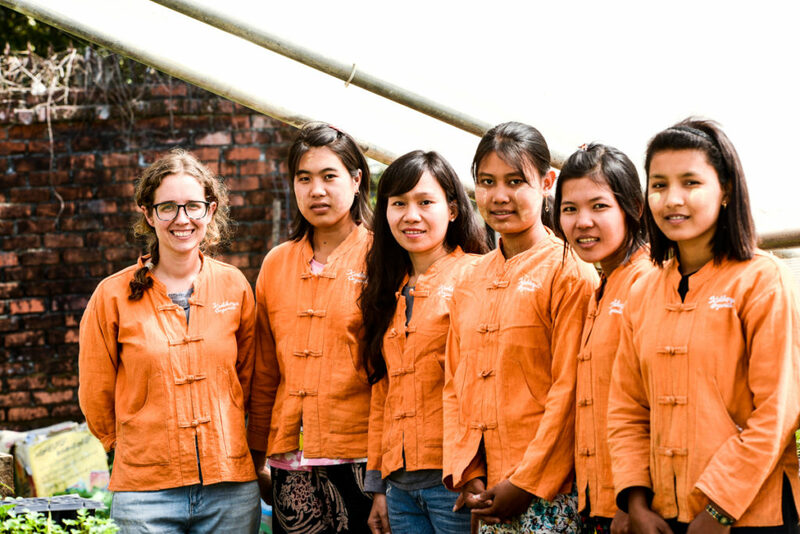 Caitlin manages a team of 5 motivated young Burmese girls who regularly attend different trainings so that they may one day manage the whole project, teach others or start similar projects. It was an extremely inspirational meeting for me and I wish her all the best in her adventure! 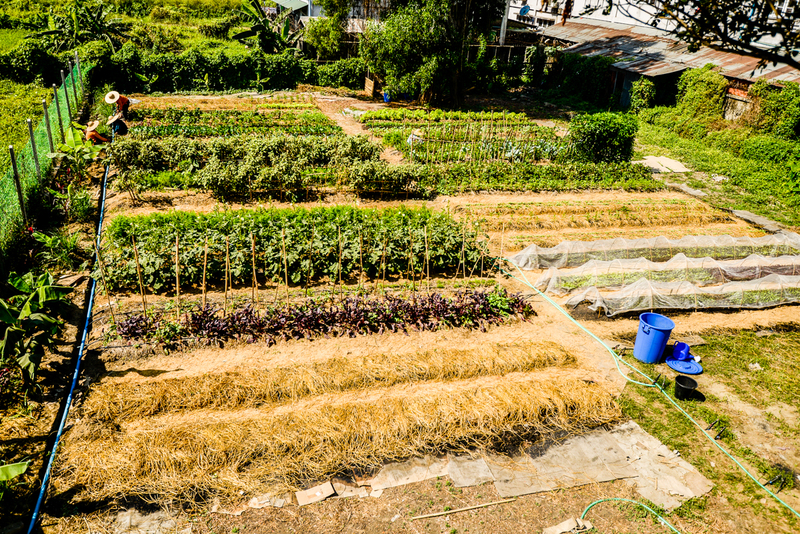 Things can be done differently, the Kokkoya farm is an example of this.